One beautiful muslin blanket, six clever uses. 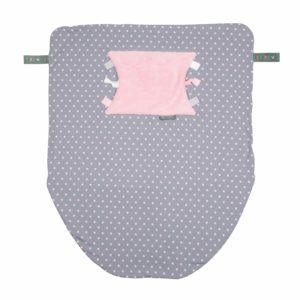 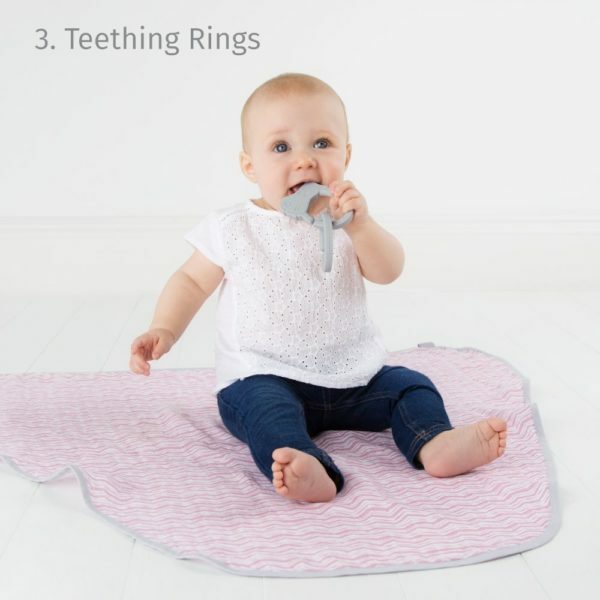 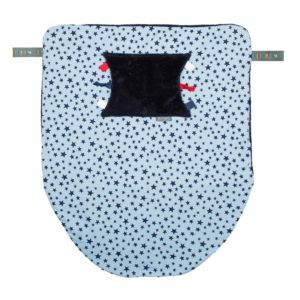 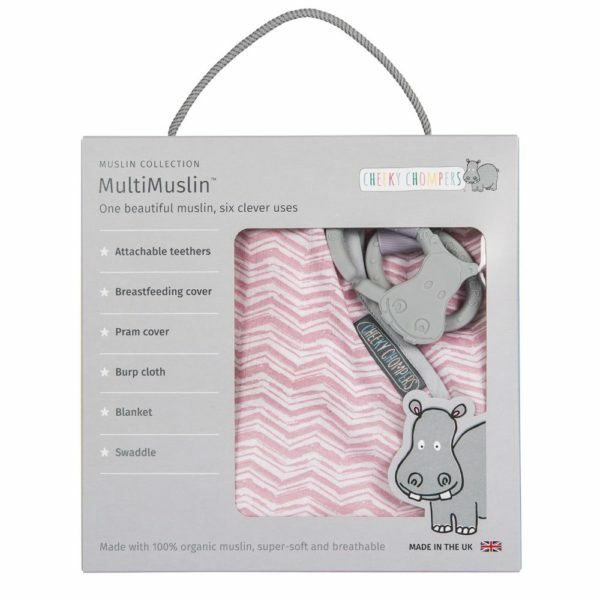 This Multipurpose Muslin product, made from 100% organic muslin, is brilliantly breathable and super soft. 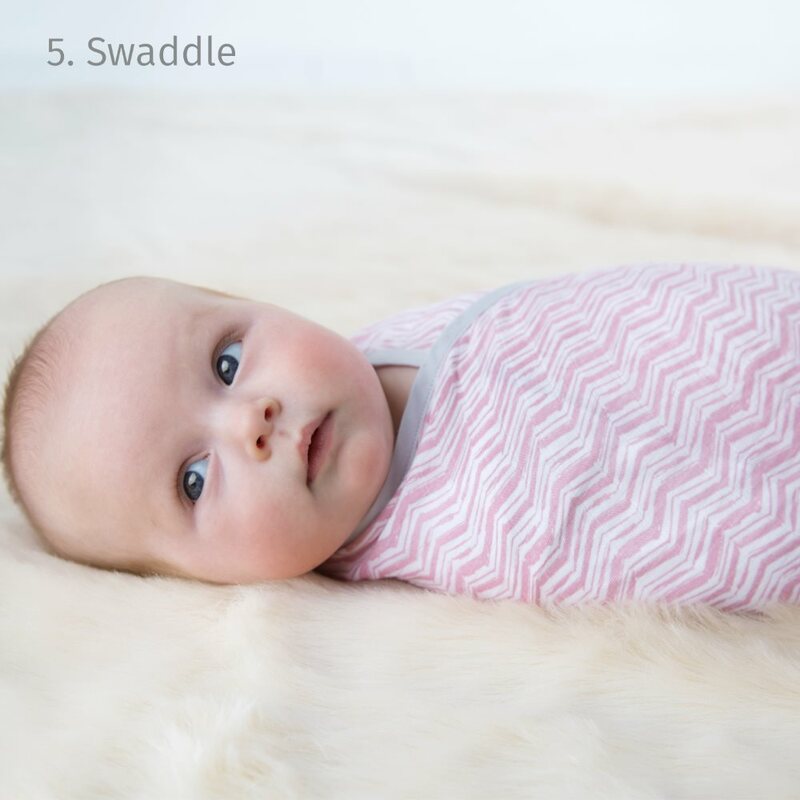 One beautiful organic muslin blanket, six clever uses. Design: Stylish pink and white chevron, with a soft grey trim. 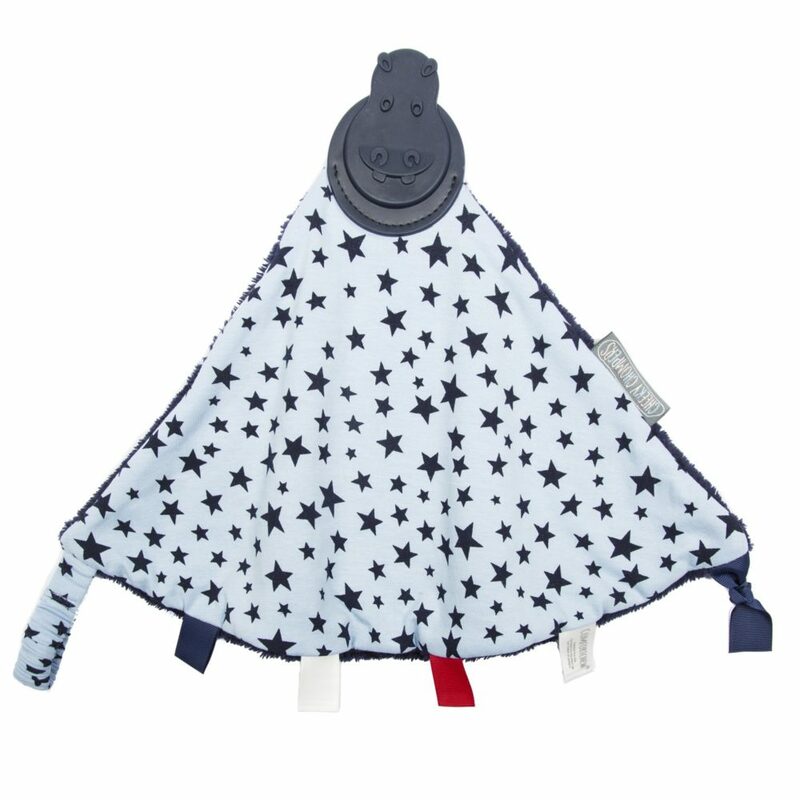 **It is always advised to make sure your baby doesn’t overheat, especially on really hot days. 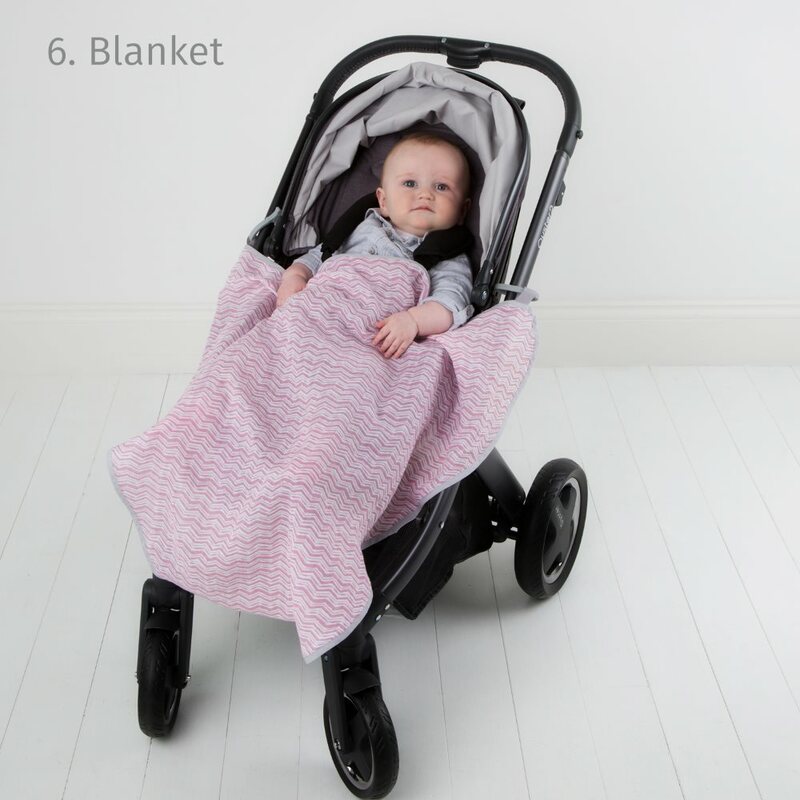 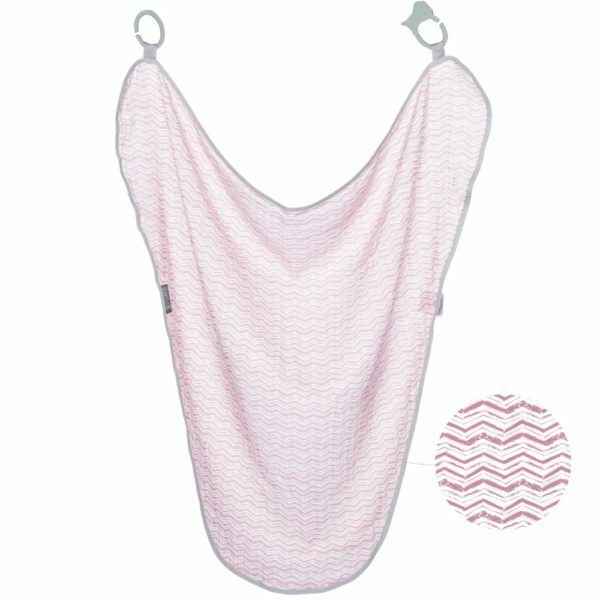 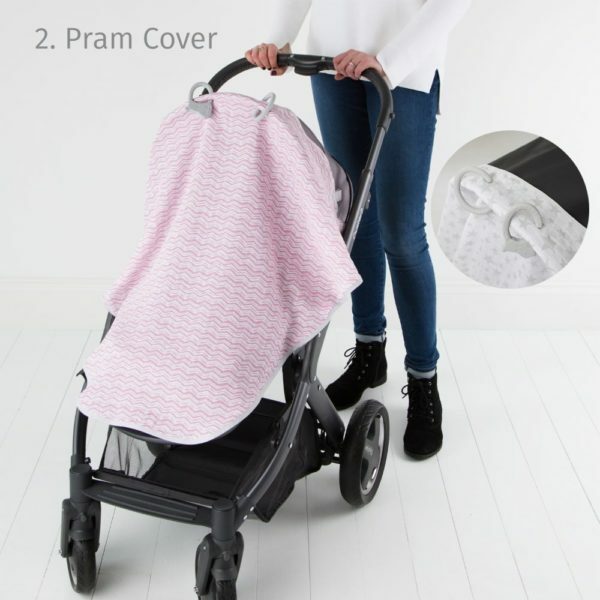 The MultiMuslin has an open weave and is a single breathable layer of lightweight muslin, which can offer a solution to give your baby some shade when you feel it’s safe.